Federal Pell Grant, Minnesota State Grant, MN Childcare Grant, SEOG Grant, loans and work-study are available for summer semester. If you did not reach your annual grant or loan limits over fall/spring a separate award letter will be generated for summer semester only closer to the start of the term. Financial aid adjustments due to class schedule changes: If you decide to add a course after the 5th day of the term start, your Pell Grant CANNOT be adjusted for the increase in credits. If you drop a course and add another course that is the same number of credits after the 5th day of the term start, your Pell Grant will be negatively affected, as your added course will not be recognized. If you drop any courses after the 5th day of the term start, you may be required to repay part or all of your summer aid. Cancelled courses can also affect your financial aid eligibility. Your class schedule must be firm, and you should not make any changes after the 5th day of the term, or risk aid reductions. You are required to be enrolled in at least 6 credits (not including W's) at the time of any loan disbursement. If you are not enrolled in at least 6 eligible credits, loans cannot be disbursed. 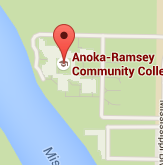 If you are transferring to Anoka-Ramsey Community College this summer and you have already completed the FAFSA for another school, you will need to go online www.fafsa.gov to add Anoka-Ramsey Community College's school code 002332. Your summer financial aid will be determined based on the financial aid used fall and spring semester up to annual and/or aggregate loan limits. Summer book charging is only allowed during the first week prior and first week of the semester. You must bring your student ID and your class schedule to the bookstore to charge books to your student account. Bookstore Charges are added as a charge on your student account. If the books you charge are not fully covered by financial aid awards, you are responsible for all of the charges. Review your summer award letter to confirm what financial aid you have available based on your registered credits. You will receive an email to your school email address alerting you when your summer award letter is completed. Check eServices to view your Financial Aid Status online. Tuition invoices are not mailed. Students are responsible to monitor their student account balance online. Students are financially responsible for all registration activity. 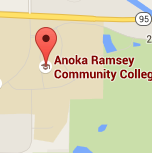 If Anoka-Ramsey Community College has received your Financial Aid application (FAFSA) from the Federal Processing Center by summer tuition due date (regardless if you have received your award notice yet), your summer semester tuition/fees will be deferred. Contact the Business Office for questions regarding tuition due dates. Tuition and fees not paid by financial aid will remain your responsibility. Need help submitting your FAFSA form?